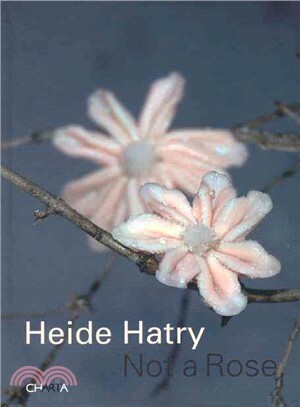 Posing as a coffee-table book of flowers, Heide Hatry's "Not a Rose" turns the genre inside out with her realistic "flowers" created from the offal, genitalia and other parts of animals. Text contributions by 101 prominent intellectuals, writers and artists examine "the question of the flower" from a multiplicity of perspectives. Contributors include Giovanni Aloi, Jonathan Ames, Stephen T. Asma, John Baxter, Claudia Benthien, Mei-mei Berssenbrugge, Lou Boxer, Rudolph Borchardt, Virginia Braun, Kiene Brillenburg, Bazon Brook, Mary Caponegro, Mary Cappello, Dennis Choi, Steve Connor, Paul Craddock, Brenda Coultas, Karen Duve, Joanna Ebenstein, Ron Flemming, Jonathan Safran Foer, Peter Frank, Martin Gessmann, Bennett Gilbert, Thyrza Goodeve, Jonas Gretlein, Anthony Haden-Guest, Jessica Hagedorn, Donna Haraway, Glenn Harper, Laura Hatry, George Holton, Siri Hustvedt, Christine Isherwood, Meredith Jones, Paul Manfred Kaestner, Gavin Keeney, Robert Kelly, Richard Kostelanetz, Paula Lee, Lucy Lippard, Fiona Maazel, Alex Mackintosh, Richard Macksey, Charlotte Mandell, Wythe Marschall, JW McCormack, Askold Melnyczuk, Selena Millares, William Ian Miller, Lydia Millet, Kate Millett, Richard Milner, Svetlana Mintcheva, Hannah Monyer, Rick Moody, Glenn Most, Alexander Nagel, Addison Parks, Jennifer Peters, Donald Pfister, Steven Pinker, Liedeke Plate, George Quasha, Christopher Reiger, Avital Ronell, Stanley Rosen, Selah Saterstrom, Volker Schill, Thomas Schnalke, Jennifer Seaman Cook, Philip Selenko, Robert Shuster, Joel Simpson, Peter Singer, Justin E.H. Smith, Iris Smyles, Jennifer Steil, Lisa Paul Streitfeld, Joe Summer, Lisa Summer, Klaus Theweleit, Luisa Valenzuela, Dan Wechsler, Jim Woodburn, John Wronoski and Franz Wright.